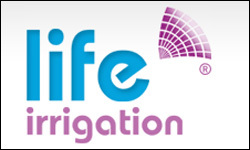 If your cash flow is damned up, or you've had it with the VAT, then you will be pleased to know that Wettone Matthews are attending the Creating Landscapes Show. The Hampshire-based chartered certified accountants will be able to offer advice on a range of business issues, from annual accounts to bookkeeping; payroll to company formation. Already Tim Wettone has been offering tips and advice to Landscape Juice network members on subjects such as whether courses are tax deductible and when is it right to become a limited company.